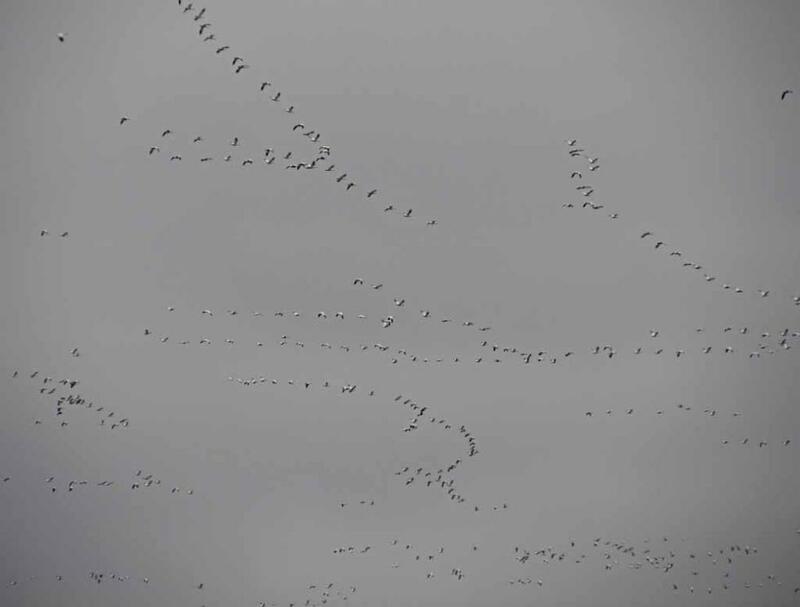 about 5:30 PM or later on March 11.
pictures of so many birds in action flying very fast all over the sky. ground in arctic tundra. 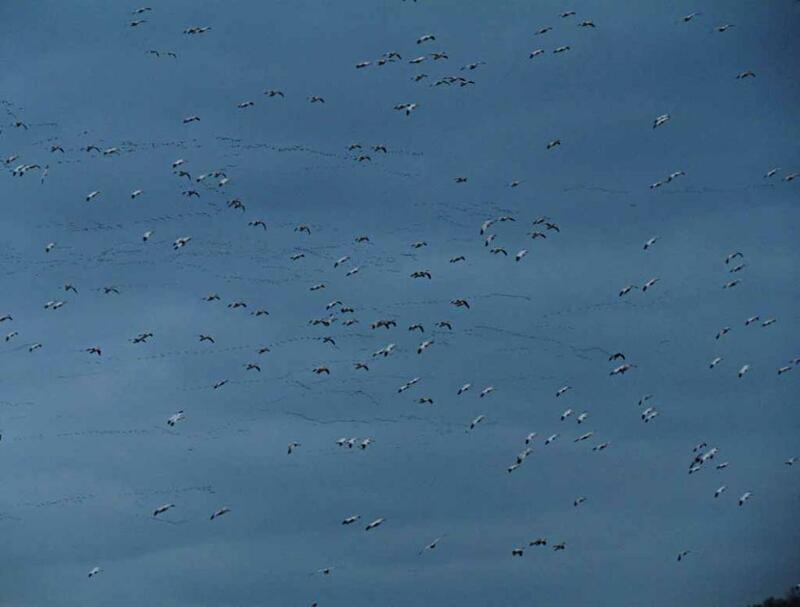 The number of snow geese usually peaks in the first week of March. 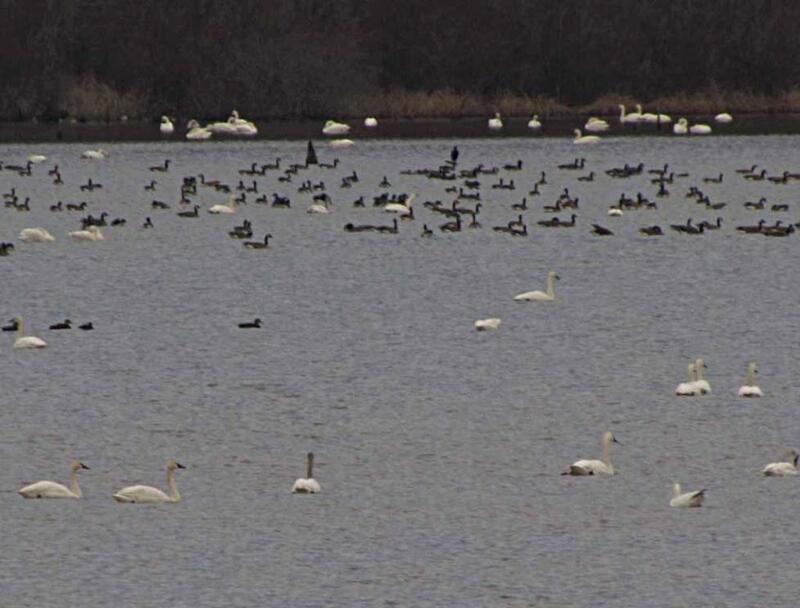 Lake in Middle Creek WMA for safety to stay away from the possible predators. 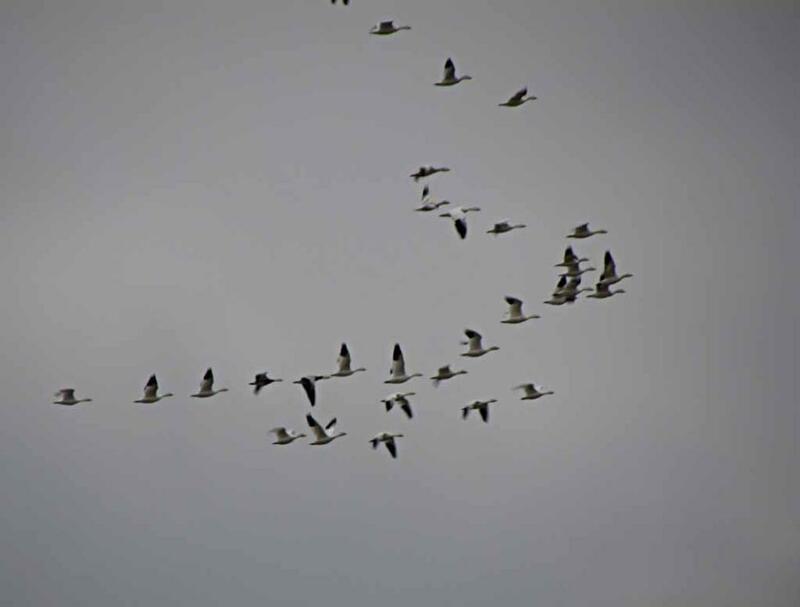 Visitor Parking Lot to reach Willow Point for watching snow geese. 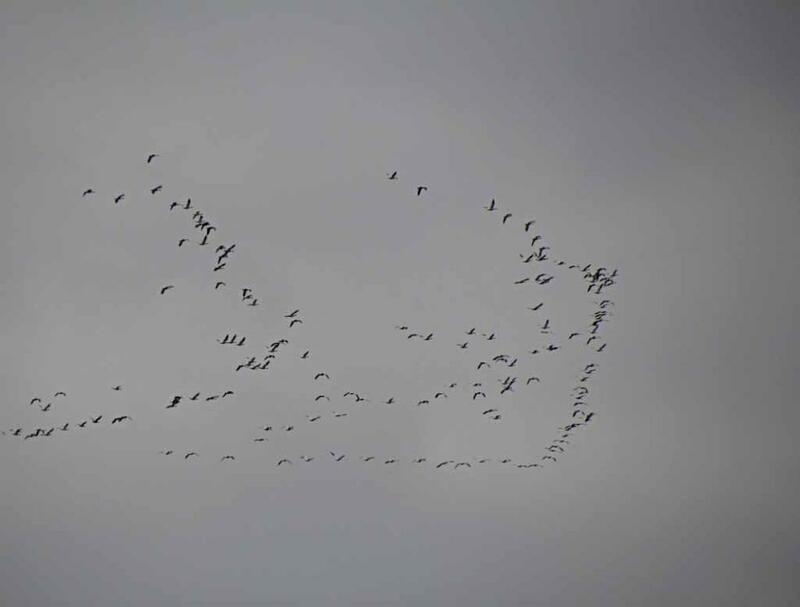 There were also some Canada geese on the far side of the lake as viewed from Willow Point. 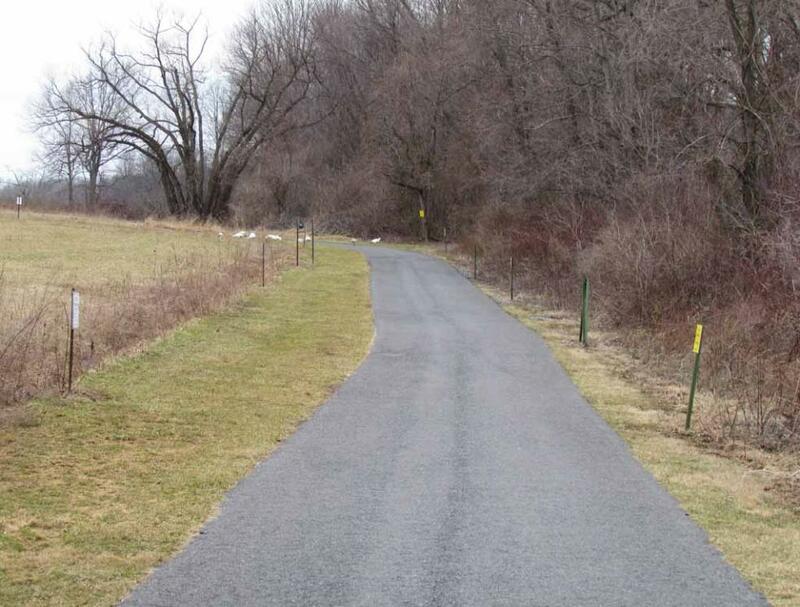 100 Museum Road, Stevens (or Kleinfeltersville), PA 17578. 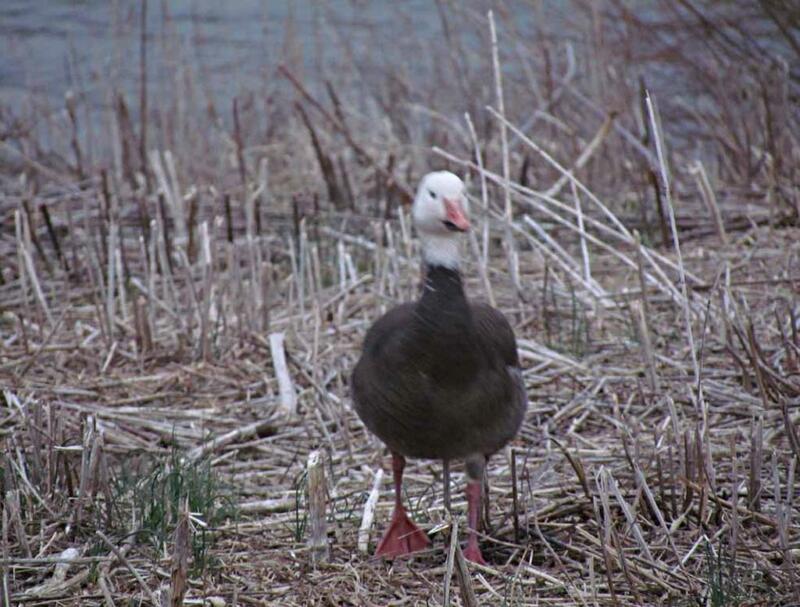 Kleinfletersville, in the heartland of southeast Pennsylvania, USA. these local maps. A more detailed local map is available from the Visitor Center. 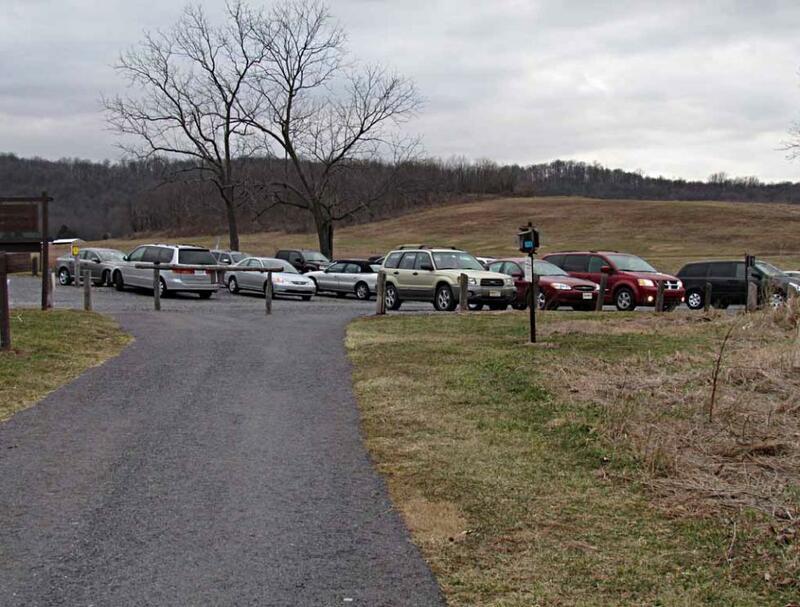 Visitors Center of Middle Creek WMA. Route 897 South for about 2 miles to Kleinfeltersville. Turn right (south) into Hopeland Road in Kleinfeltersville. 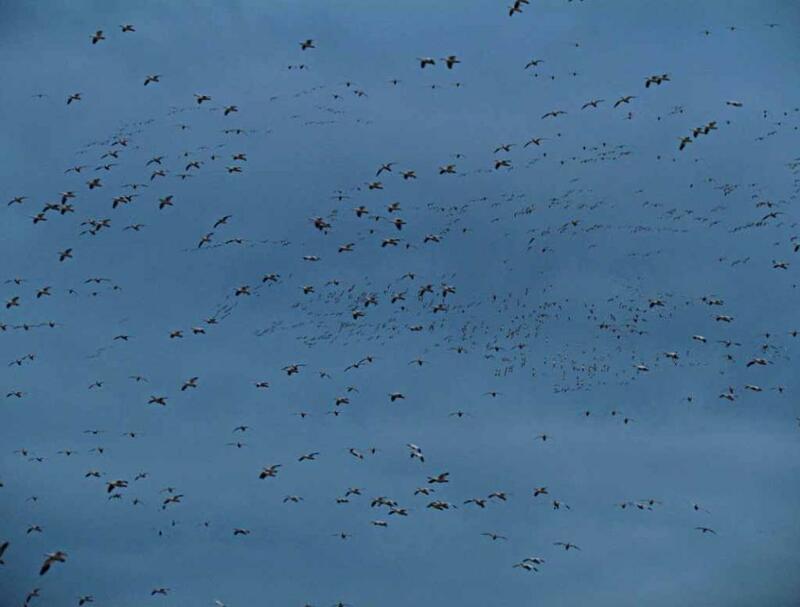 Center of Middle Creek WMA. 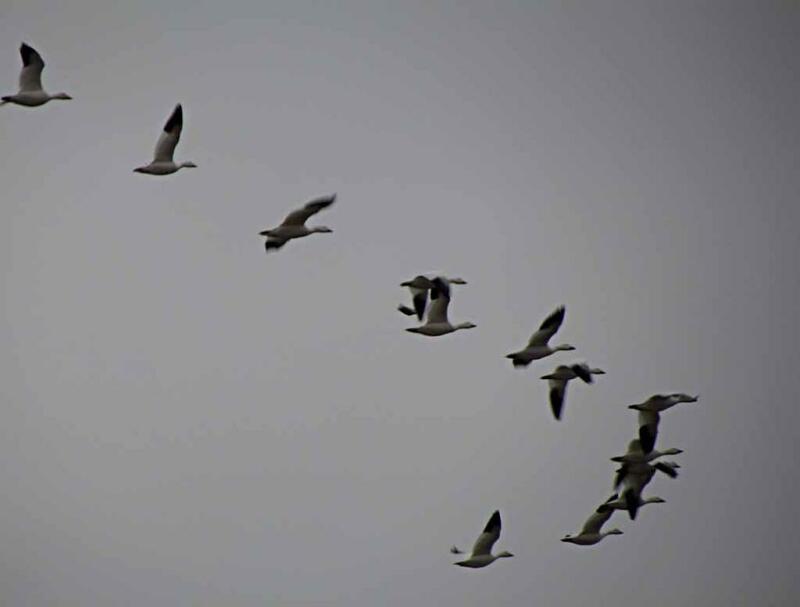 above first to see if those snow geese are still there or not. 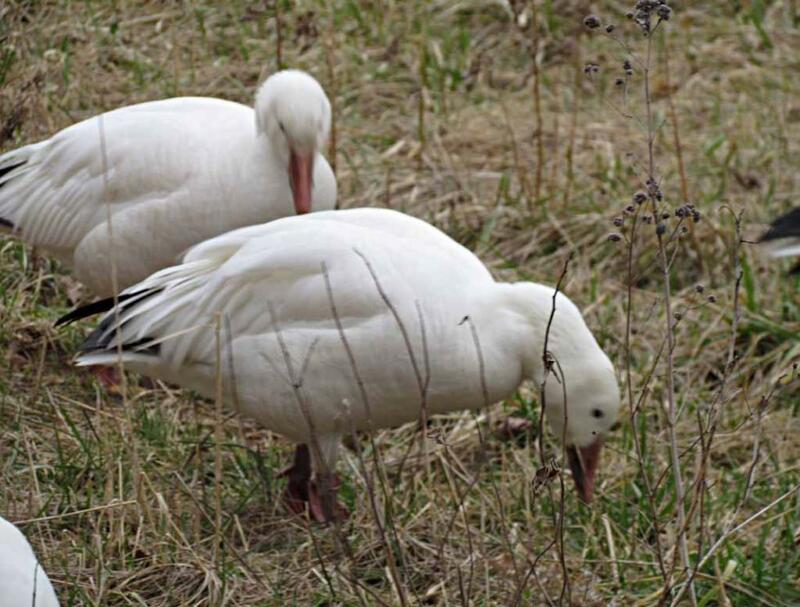 to feed on waste grains. 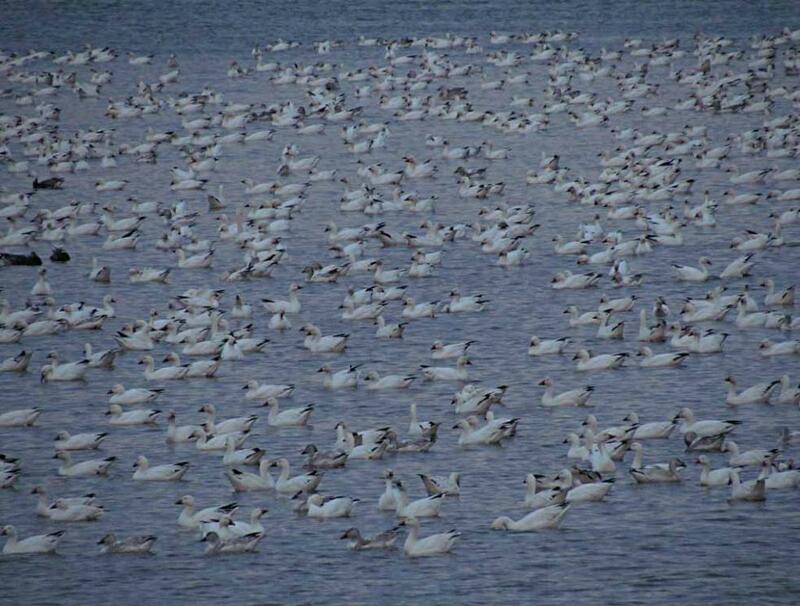 summer breeding ground in arctic tundra. 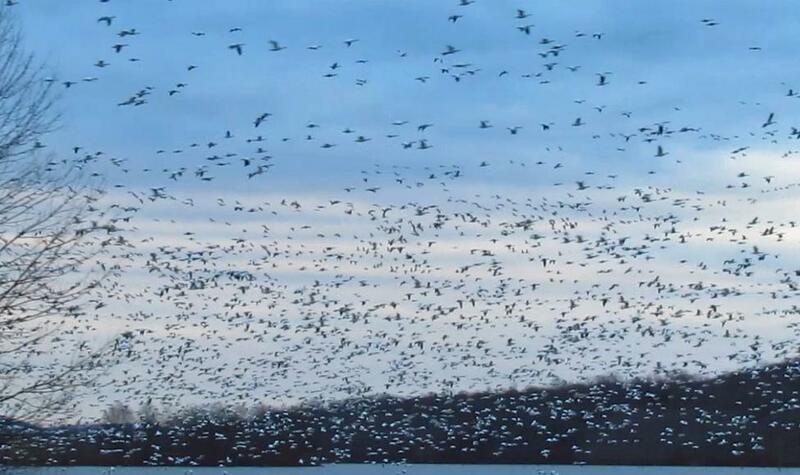 At sunset time, they flew in and landed on the Middle Creek Lake with high concentration to roost over night. 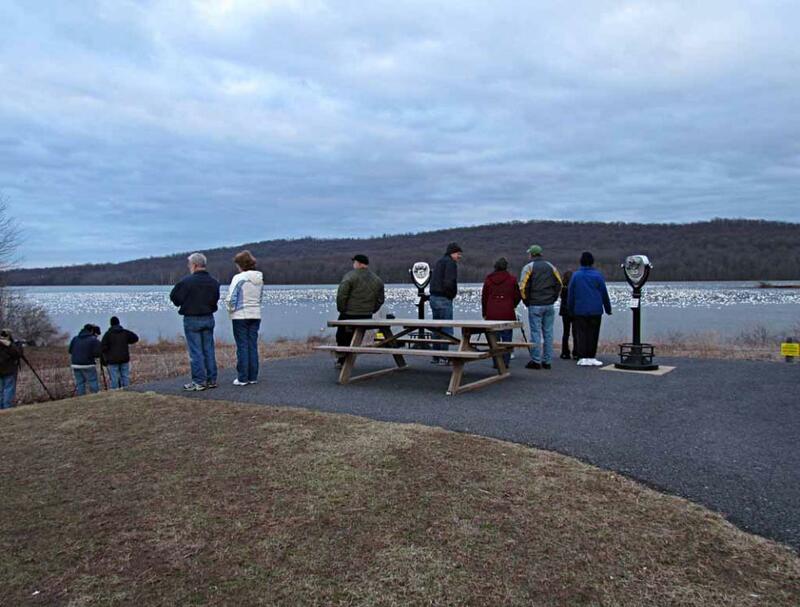 The paved 0.5-mile trail for visitors to walk from the parking lot to the Willow Point to see snow geese in action. 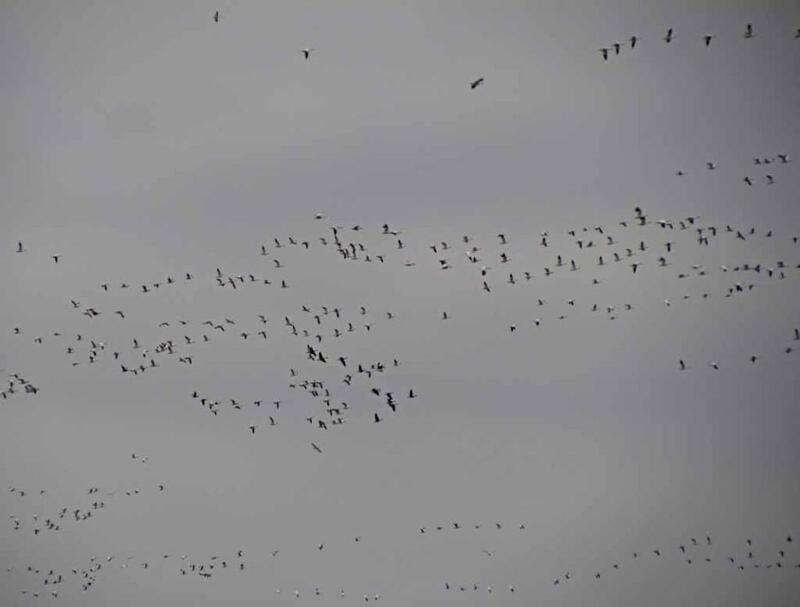 second, much larger wave of snow geese flying in. 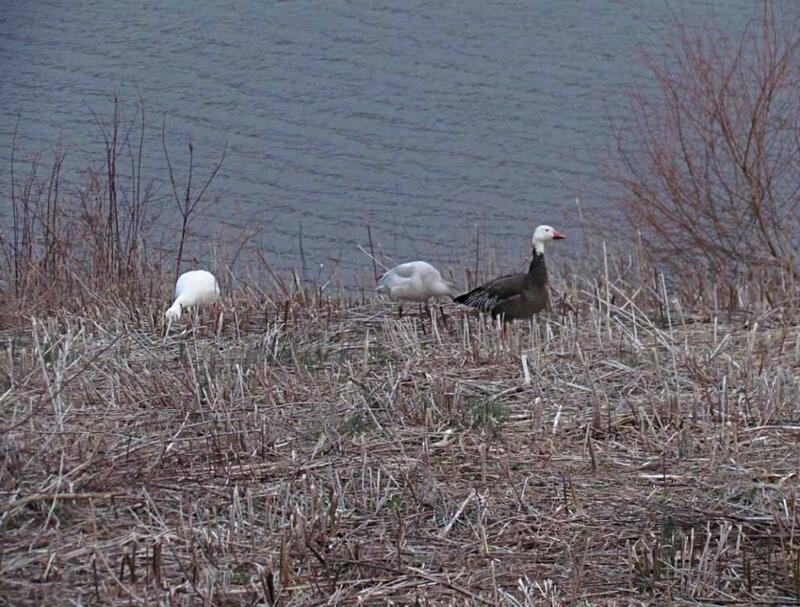 In addition to large number, these snow geese are also very vocal and noisy with loud squawking. 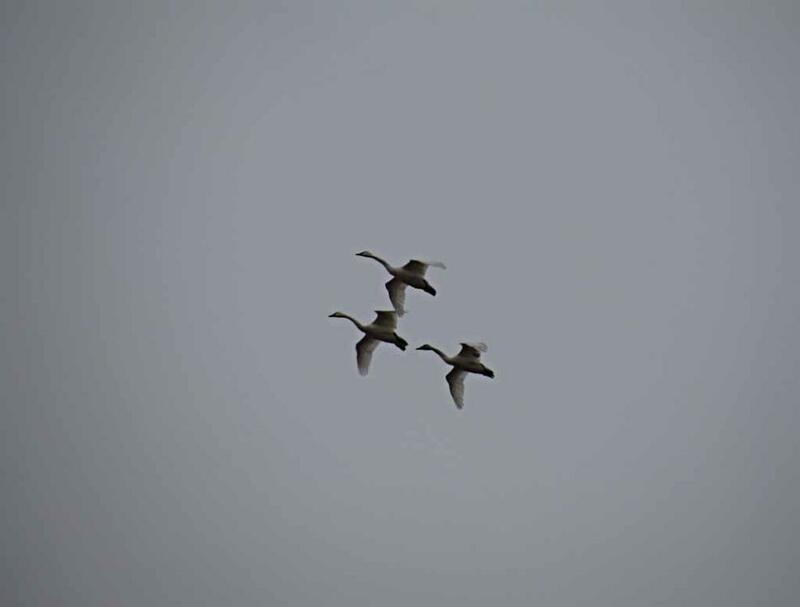 Lake. 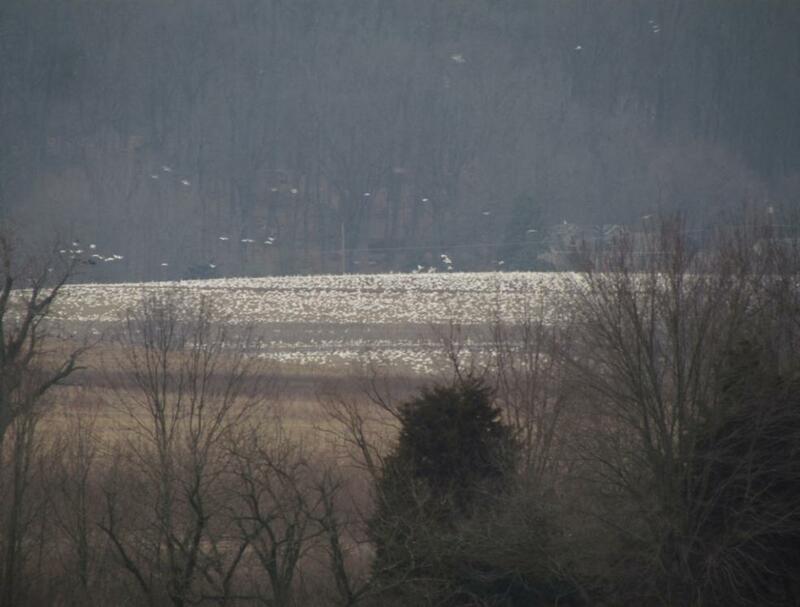 This is the best location in Middle Creek WMA to watch the huge number of snow geese in action. 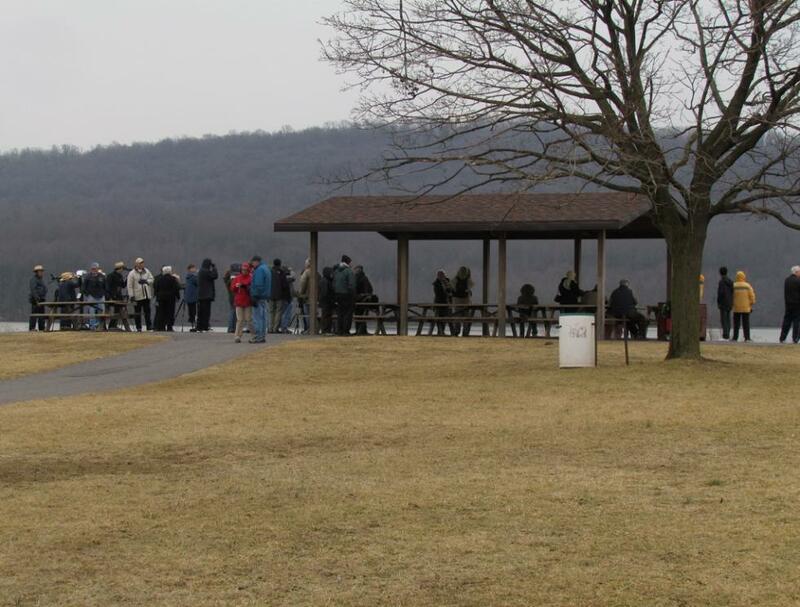 There is a paved Auto Tour Route for visitors to drive their cars to go around the 400-acre Middle Creek Lake. 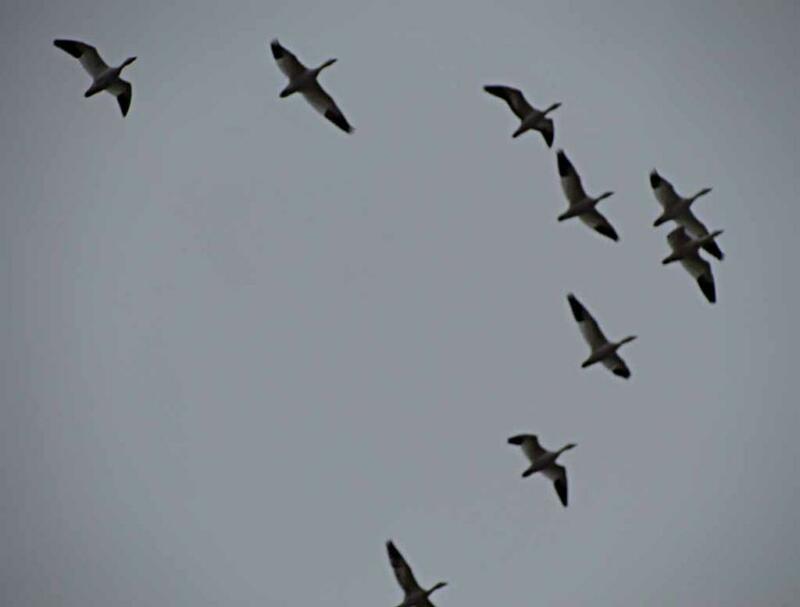 Creek WMA. 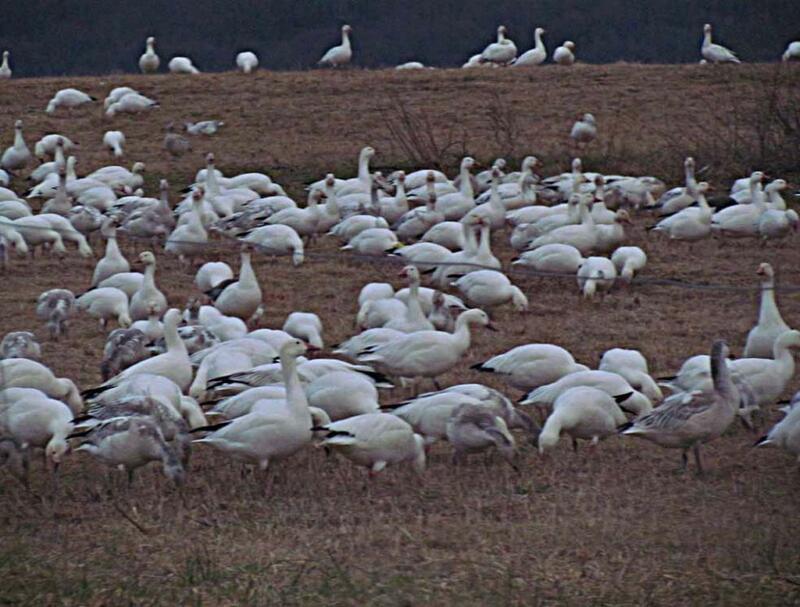 And we saw many snow geese feeding on nearby farm fields. 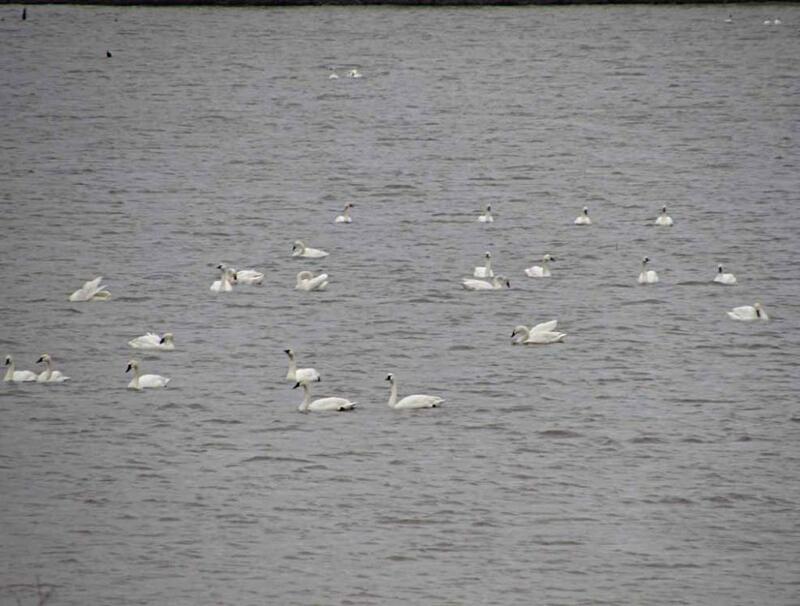 In addition to the snow geese, there are also thousands of tundra swans on the lake. 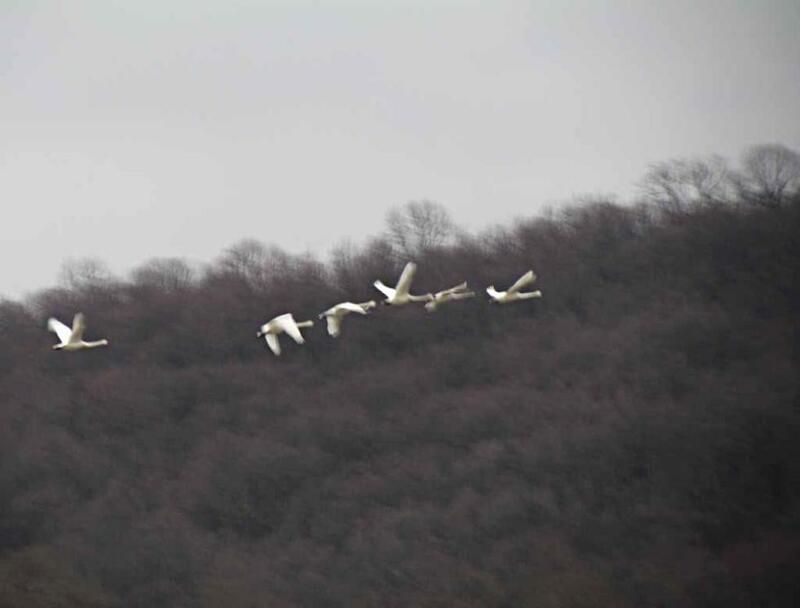 Some swans were also flying in that general area. 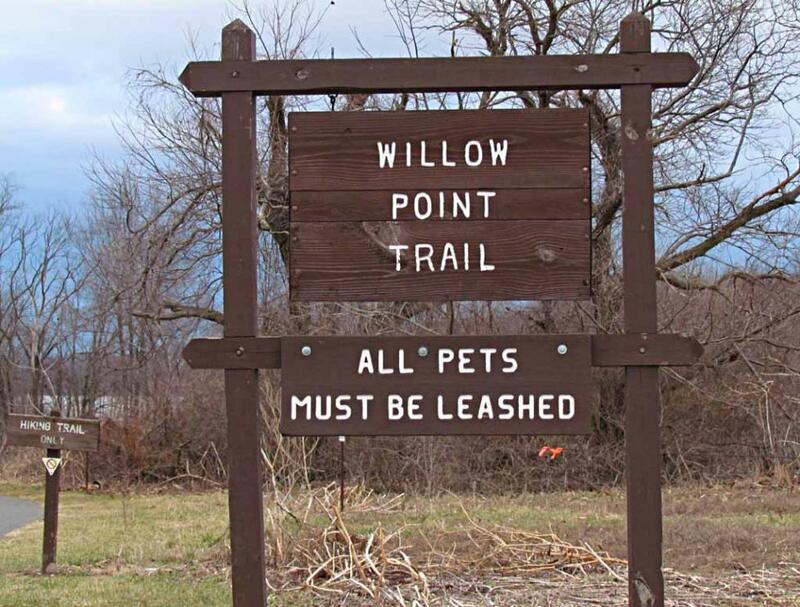 The sign at the parking lot and the trail head for Willow Point to watch snow geese and swans. 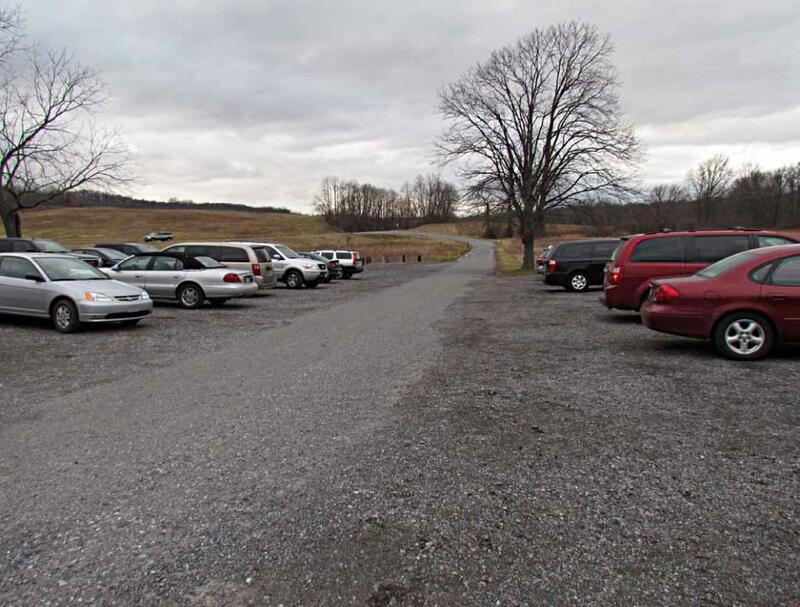 guide us to one of such local restaurants to enjoy the Amish dinner before driving home. 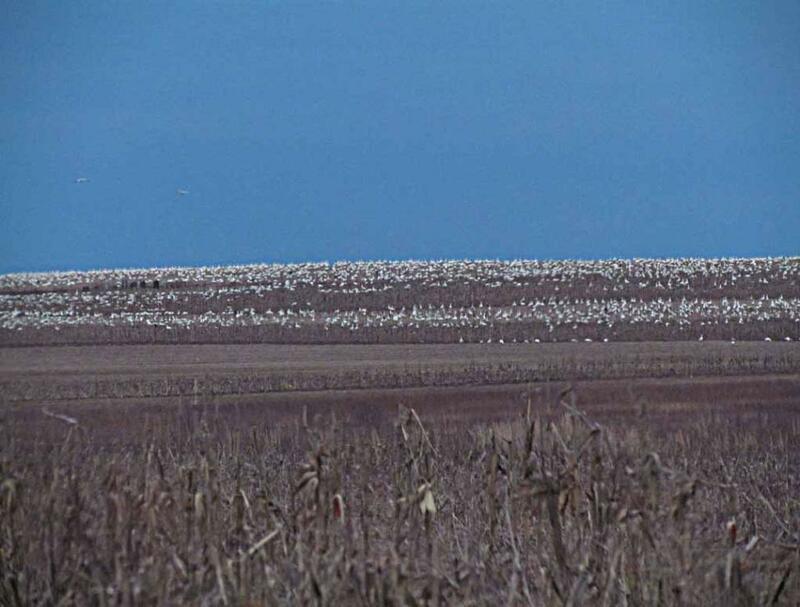 In the day time, these huge number (50,000 or more) of snow geese spread out to feed on nearby farm fields. 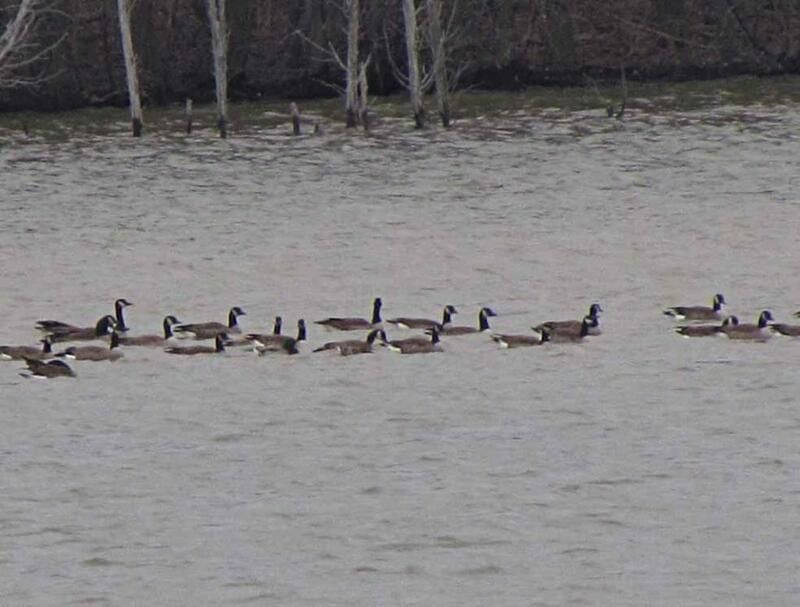 an orderly fashion to descend down onto the lake surface. 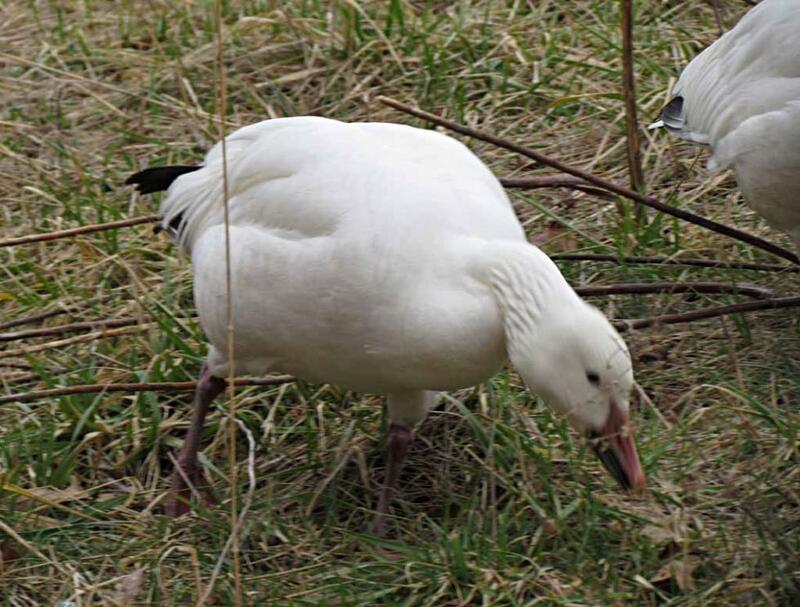 sharp pictures of these snow geese in action. 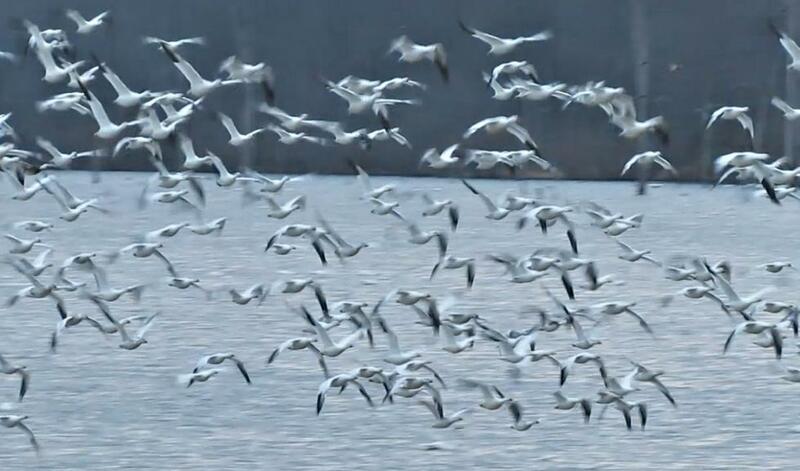 It was raining before and after the date of March 2, 2012.
a big wave in the air to the Middle Creek Lake for the night. 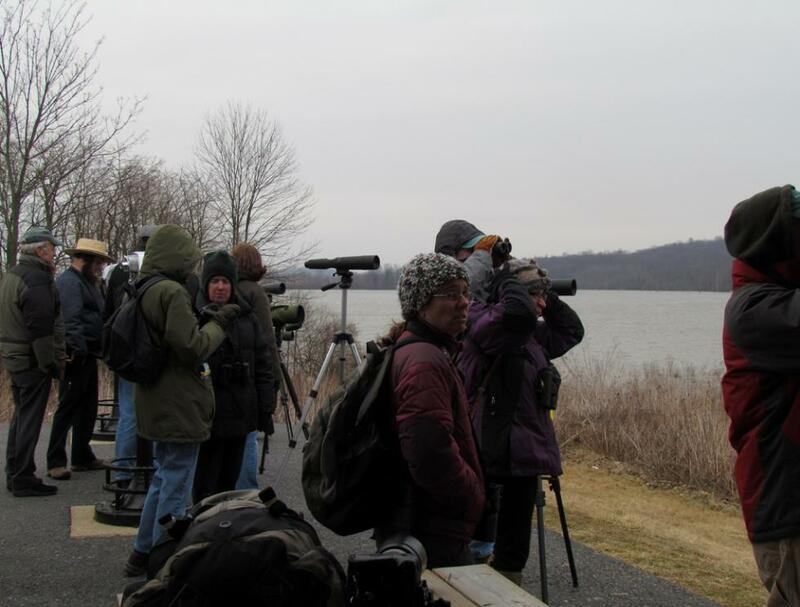 Some visitors came with spotting scopes to enjoy close up views of those snow geese and swans in action. 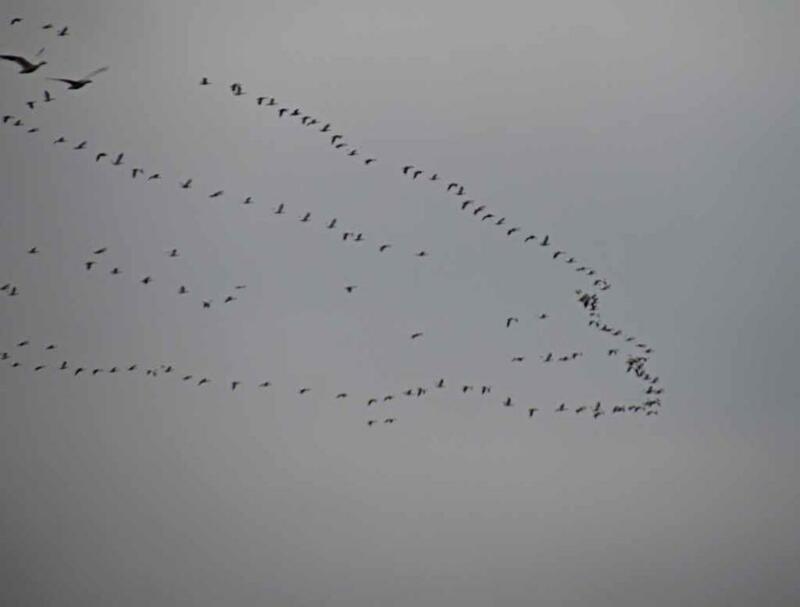 optical zoom of my compact super-zoom camera to get good pictures. 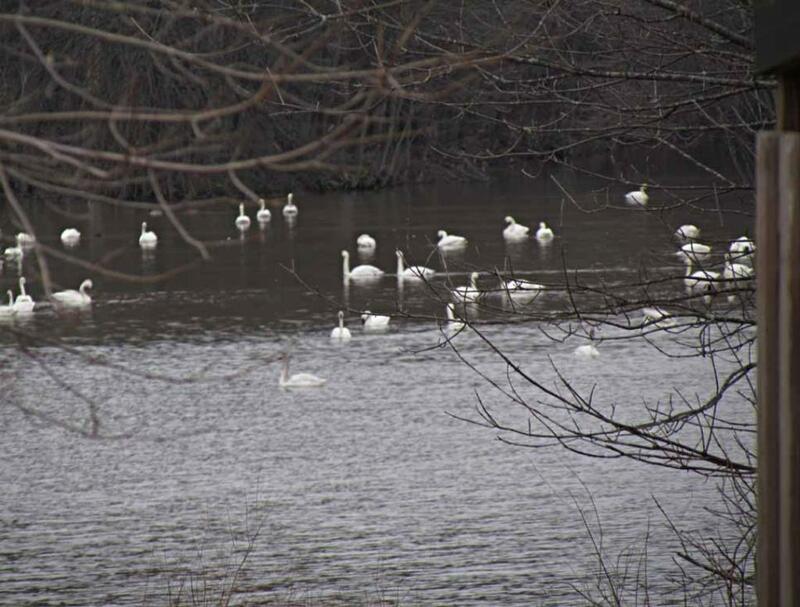 A corner of the Middle Creek Lake looks like a swan lake.